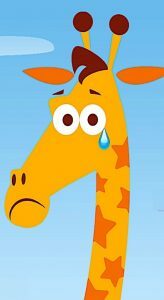 It's somber news in my house that Toys R Us is going out of business and closing all of their stores. When I was a kid that was where I used to drool over all the new Lionel train sets and accessories. (I could never afford them too.) Just going there and looking at all of the new toys from floor to ceiling was a real treat for my brother and me that my parents rewarded us with when we were good. My wife and I do the exact same thing with our son when he's good. Sadly, those days are now officially over. Somehow, gathering around the computer to look at toys for sale online doesn't seem like much of a reward for my son but I guess that that will have to do now. It flat out stinks to be a kid today! It just wasn't the Christmas season until that was playing on Bay Area airwaves. In case anyone is too young to remember, the giraffes were Geoffrey, Gigi, and Baby Gee. I feel sorry for my son because I can't think of too much that is better about being a kid now compared to when I was his age. Walmart and Amazon did them in. i bet some place somewhere a 9 yr old got this news an took a hostage!...... hes got a spork in a teddy bears back. screamin.... ok OPEN THE DOOR S BACK UP OR THE BEAR GETS IT! .... I AINT PLAYIN! The Best of Invicta at Season Low Holiday Pricing! We have a special gift for you this holiday season. By chptrk67 in forum Look What I Got! !